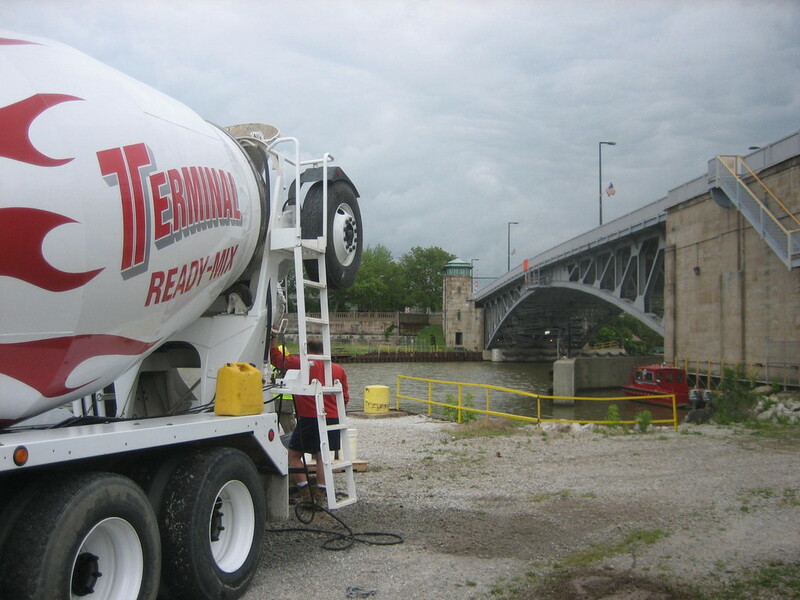 Ready Mixed Concrete - Concrete ready-mix producer and concrete road construction company, Lorain, Ohio - Terminal Ready-Mix, Inc.
Ready mix concrete is produced in our ODOT-certified central batch concrete plant strategically positioned on the Black River in Lorain, Ohio. 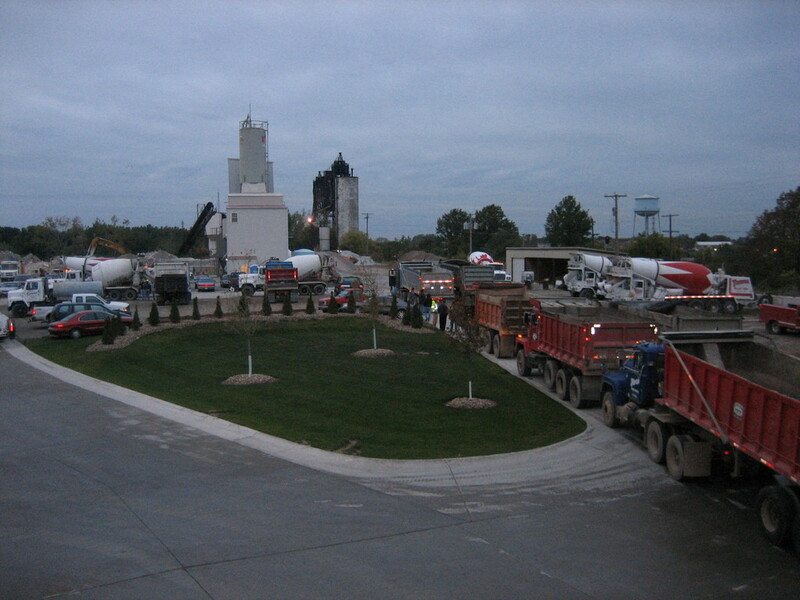 Our access to top-quality aggregates allows us to create the highest quality ready-mixed concrete. 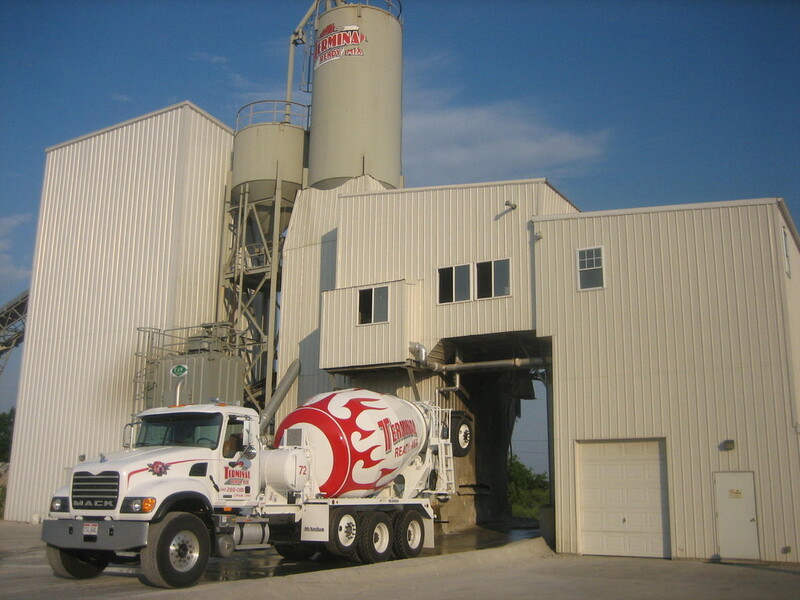 We can create custom mix designs to meet your project requirements in our state-of-the art concrete plant and batch consistent slump and air entrainment. 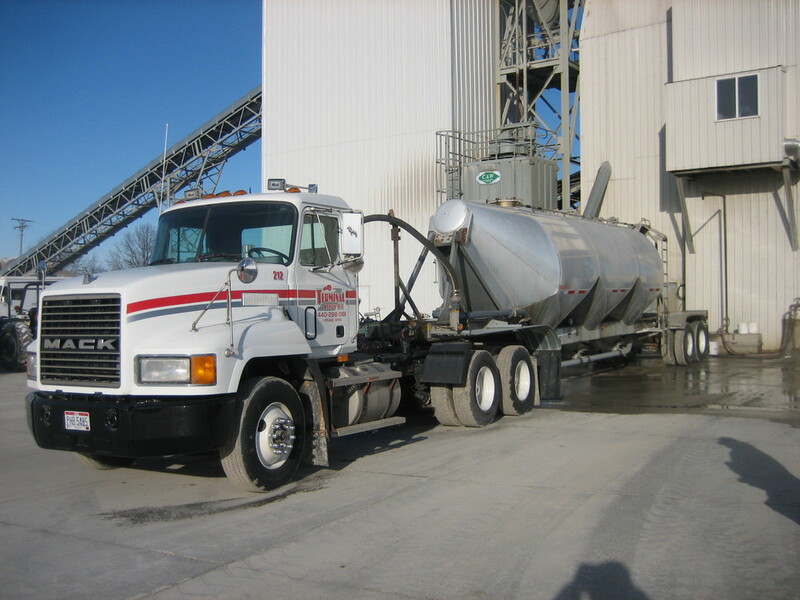 Our skilled fleet of drivers operate a clean and well-maintained fleet of front and rear-discharge mixer trucks. 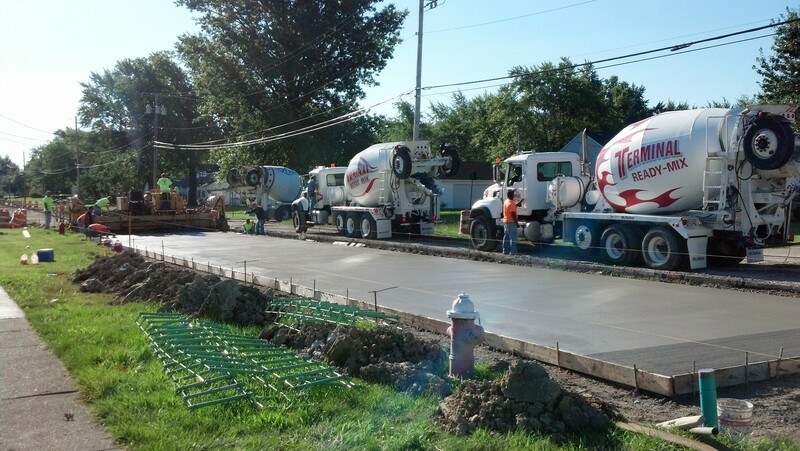 With nearby highway access, our ready-mixed concrete service area includes most of Lorain County, Erie County and Cuyahoga County. 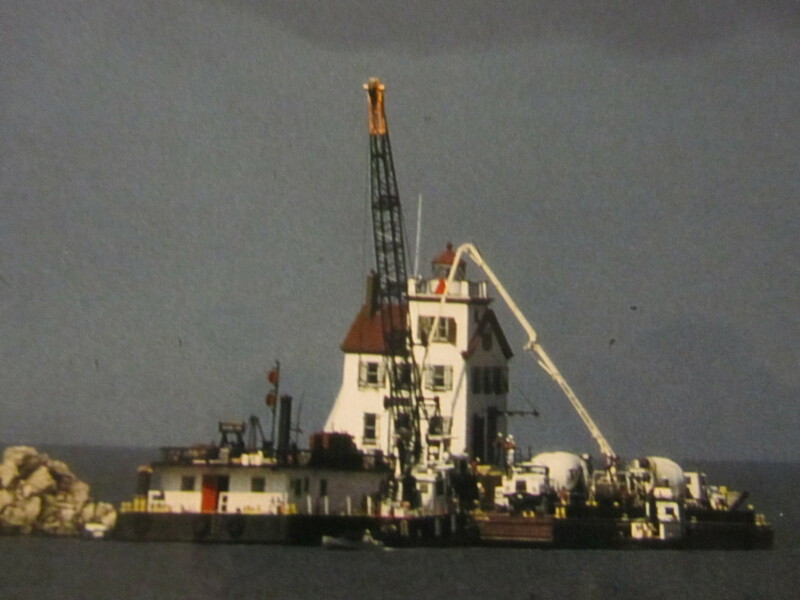 Cities we frequently deliver to include Amherst, Avon, Avon Lake, Elyria, Lorain, North Ridgeville, Oberlin, Sheffield, Sheffield Lake, Vermilion, and Westlake, Ohio. We also carry a full-line of builder's supplies including rebar, expansion joint, visqueen, caution tape, hand tools. 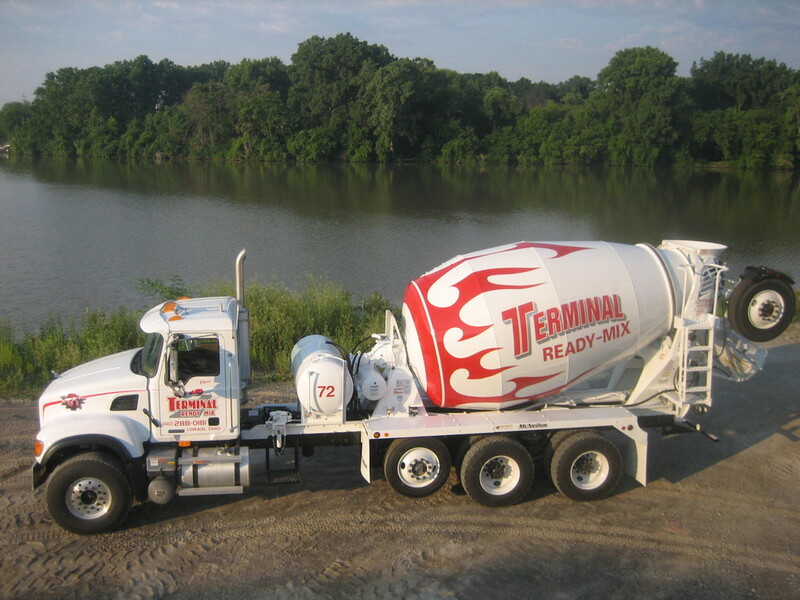 We can deliver them to your jobsite with your concrete order! 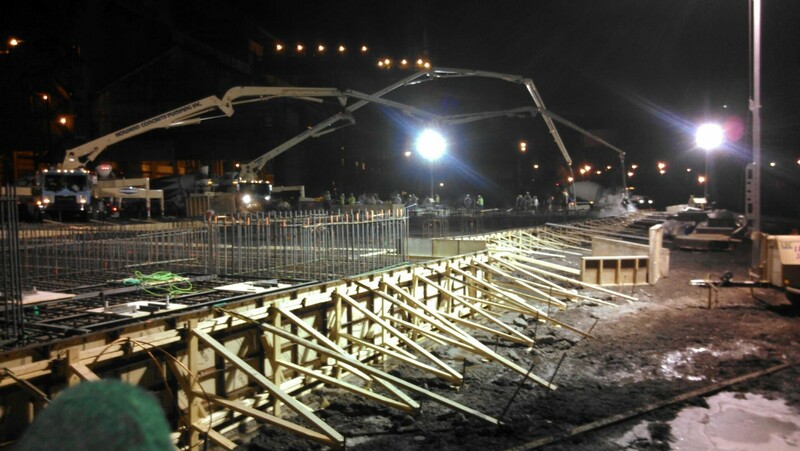 Contact Pete Falbo today to discuss your project requirements.